It took a long while but I have now finished the re-modelling of the gun turret positions. 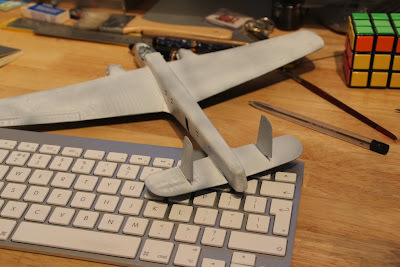 I have given the plane a coat of white primer and will start the camouflage next. It looks a bit strange but this is what they looked like. 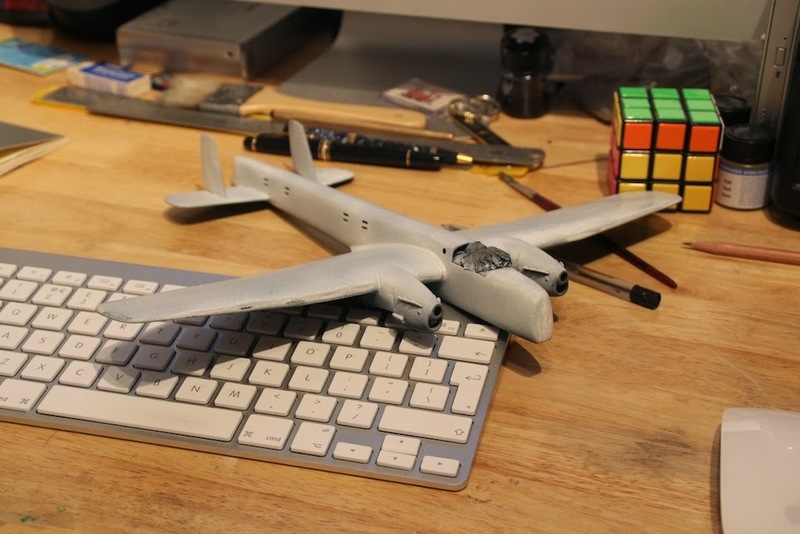 It now has to be painted with RAF Dark Green and Brown on the upper surfaces and Aluminium on the underside. Then I have the fiddly part resin/part plastic propellors and undercarriage to put together. I think I might do that "after" I have recalled it.